So lately I have been cleaning up the inbox and taking time to respond to emails. I have been listening to a lot of submitted music as well and responding with feedback. 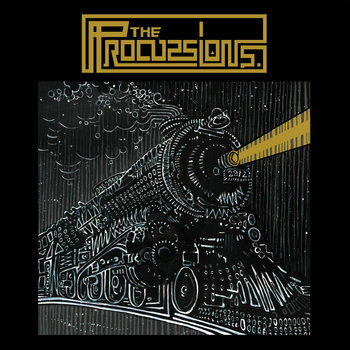 I did notice that a group that I have listened to before called The Procussions recently released a new self titled album. I had to listen to their new project because I know one of their songs gets heavy rotations on one of my pod playlists. I was excited to hear it and at the same time I was skeptic because these days you can’t get your hopes up on receiving a solid album from new artists. I will have to tell you that I was very satisfied with what I heard and just wanted to share my thoughts on the project. I like how the first song Foreword started off with a live theme to it. They kept the live theme close because the mixing matched that of what you would hear at a live show, meaning that the beat was blurring and you could barely make out what they were saying. The beat has that Black Milk feel to it. I’m not quite sure what the train was for on the album cover but they used the sound of it to transition into the next track, The Fringe. The beat to this song has a vibe to it on some if Black Milk and Oddisee produced it. I love that break before the second verse. The song is about going for what you deserve. The next song is a song that I believe I posted up here before. Today is the song that really got me hooked to their music. I still think that it has that Pharcyde feel to it. The album takes a slight turn with their single On A Mountain. Some may like this song but it’s too pop for me. “another one of these songs ugh” just my feeling. I did give it a solid listen but I will probably skip this song in the future. That song must be strictly for the radio because I can assure you the rest of the album makes that song sound like sh#t. Now back to that real sh#t with the next song which is called Badges. I swear they must have been listening to some Black Milk. The drums hit so hard and that synth is fantastic. The whole song has that rebel feel to it, like a defiance for anything that feels wrong. Insomnia is one of my favorite songs off the album. What I like about this song is that it is easy to listen to. The lyrics are about questioning life and what its all about. He also goes into his relationships. I wonder if that is a sample in the background or if it’s something they came up with. I love those excerpts at the end of the songs, they are used as an introduction and smooth transition for the next song. December contains a similar feel to the previous song. They use this song to give thanks to the ones that held them down. It’s an interesting way to describe love and betrayal at the same time. I’m guessing that they named the song December as a metaphor for the cold women they described in the verses. Modern Warface is just, SMDH. If you weren’t a fan before you will be a fan now. I love the electric feel of the production playing while they sing about the wars they’ve been through in their relationships. It’s one of those types of songs that you will have to listening to several times to understand it. Fortunately enough its a great song and that guitar riff is bonkers. That sound excerpt was a perfect transition for introducing Iron Vox. The bump in this song has captured my head and provoked a steady bob. It slightly reminds me of The Root’s “75 Bars“. The breakdown near the end was freakin epic. Track 10 make me want to ghost ride the whip, lol. This is pretty much a fun track to be played at the club, bass heavy. 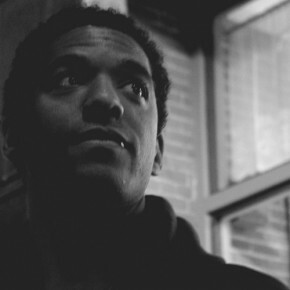 Phantasm gets back to that groovy ish. “got a quarter tank of gas in my ’98 Accord“. I have no idea what was said in the second verse but it didn’t sound half bad. The organ in the chorus kind of surprised me but it’s presences was quite pleasant. The Drum is another song that just hits and it better due to the name of it. The melody created by the bassline is so eccentric. I love that chorus, its so easy to listen to. The verses are witty and comical at the same time. In DNA they describe how they first fell in love with making hip hop music. You gotta appreciate the records used in the scratches. I think that lyrically this might be one of their most down to earth songs. I can definitely tell you that Shout contains a sample. This song is truly a shout out song too just to forewarn you. Like the title of this post points out, I think that you shouldn’t miss out on this album. It is a very creative project from a group that has plenty of talent. It’s not too experimental, I think it contains the right amount of risks. The productions have that live feel to them but they have been mixed to a point where they sound crisp. There’s maybe a couple of songs that I would skip but you may enjoy them so all in all it’s a solid album. I was not disappointed with the final product and I recommend a purchase and a swift sync to the pod.